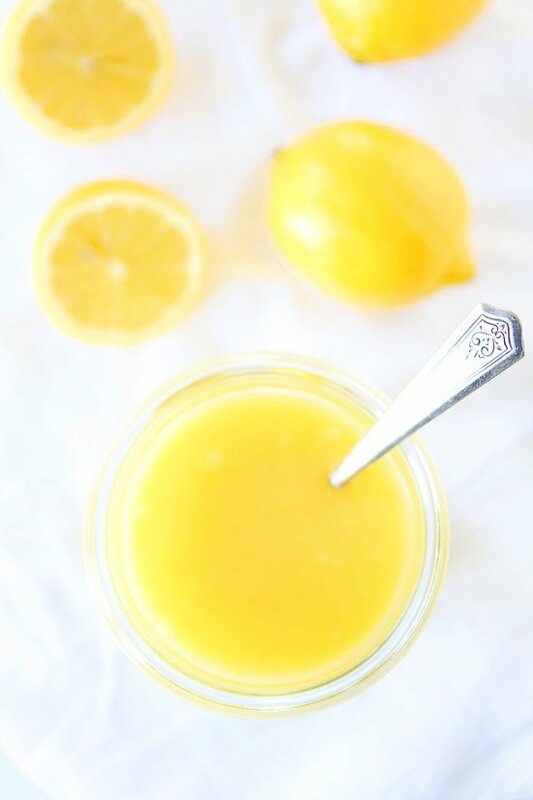 Lemon Curd – How to make lemon curd that is easy, sweet, tart, and good on just about everything! Forget lemonade – when life gives you lemons, make lemon curd! You won’t go back. 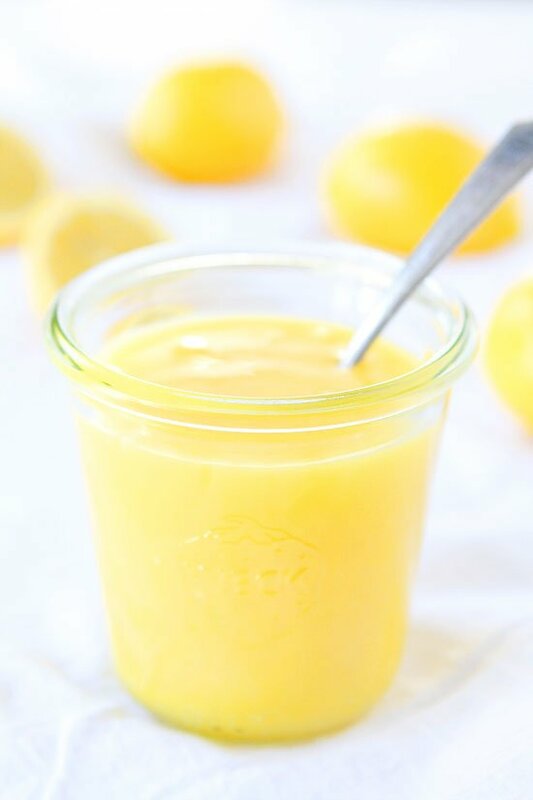 I love it when life gives me lemons because I can make tasty lemon recipes, like this easy Lemon Curd! I know the traditional saying suggests making lemonade, but the next time life gives you a bunch of lemons, make lemon curd instead. 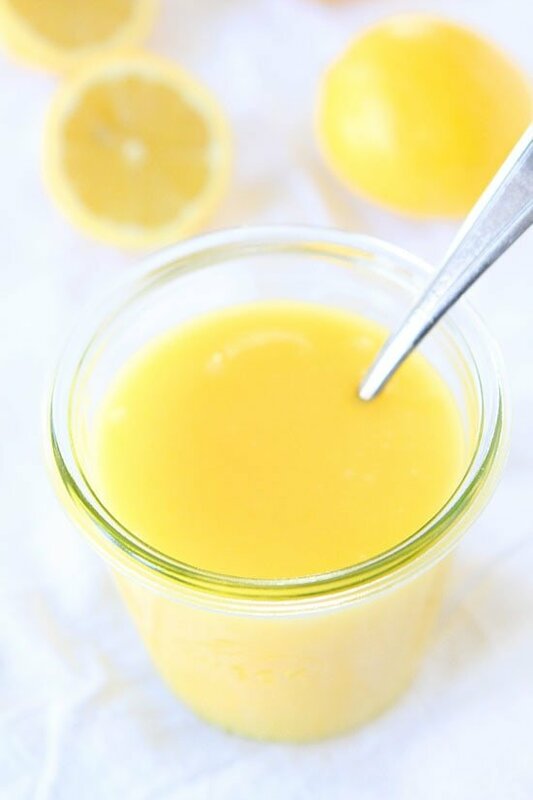 You will probably never go back to lemonade unless it is a super hot day and you are thirsty, but I promise you this lemon curd recipe will become a favorite! You will be begging for lemons! Lemons make me happy! 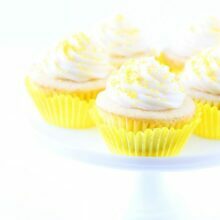 They are so bright and full of sunshine…and when you transform them into luscious lemon curd, even better! The lemon curd is super easy to make and is great on just about everything…toast, pancakes, French toast, scones, stirred in yogurt, etc. I also love using it to make my favorite Blueberry, Brie, and Lemon Curd Grilled Cheese! You have to try it, it’s all kinds of awesome! Lemon Curd is also great for making desserts, like Lemon Coconut Bars or Coconut Lemon Macaroon Nests. Those are a must for spring! Too cute! And you know lemon curd is also great eaten by the spoonful. Smooth, sweet, tart, refreshing….the perfect pick me up! This lemon curd is also great with Meyer Lemons! Meyer Lemons have a sweeter taste and lower acidity, which makes them perfect for lemon-based desserts. I picked up a bunch of Sunkist Meyer Lemons the other day and I can’t wait to make another batch of Lemon Curd! I hope life gives you lemons so you can make this Lemon Curd ASAP! It is sooooo good! And make sure you come back on Monday, I created an amazing dessert with this lemon curd. You will want the recipe, trust me:) Happy weekend! This easy lemon curd recipe is the BEST! It's great on just about everything! 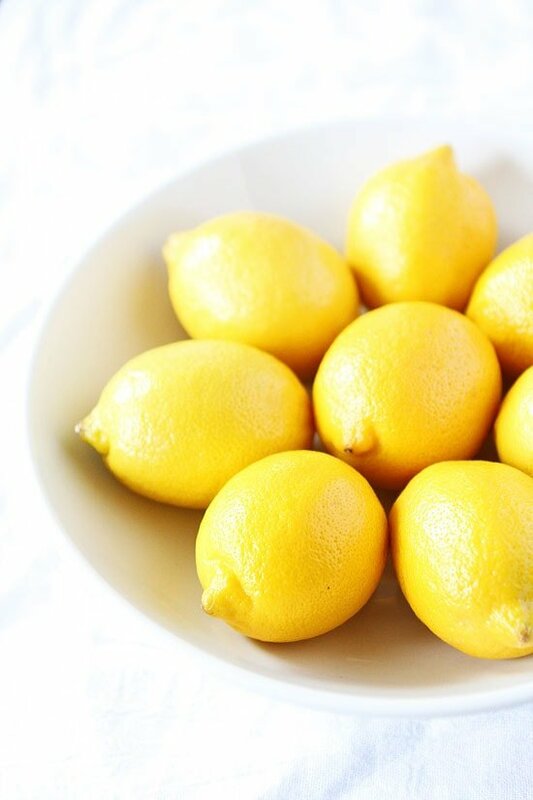 In a medium bowl, combine lemon zest and sugar. Rub together with your fingers until fragrant. Put the lemon zest and sugar mixture, lemon juice, egg yolks, and butter in a medium heavy-bottomed saucepan and stir until combined. Cook over medium-low heat, stirring constantly, until the butter melts and the mixture thickens, about 12-15 minutes. The lemon curd will continue to thicken as it cools. Remove the pan from the heat and pour lemon curd into a jar or glass bowl. Press a piece of plastic wrap directly against the curd so it is airtight. Cool to room temperature and then place in the refrigerator. Again, the curd will thicken up after it is completely cooled. Note-Lemon curd will keep in the refrigerator for up to 2 weeks. I recently used lemon curd to make thumbprint cookies and they came out amazing; that was my first experience tasting lemon curd and I fell in love. Thank you for sharing a recipe. I used the jarred kind from the grocery store, but your recipe looks easy to make! Tom – Geez! Uhmm…or maybe YOU could make it. I LUHVE LUHVE Lemon Curd, but I have actually never made it. I did not know it was SO easy! Now I want to make it and spread it on ALL the things! Pinned! I love homemade lemon curd! It’s such a happy treat as I impatiently wait for spring. Thank you so much for this recipe. I bought a jar awhile ago from a specialty food shop and fell in love. Seeing this recipe aand how easy it is I can make it all the time. :). Thanks again. This post is so bright & cheery! I love all the bright yellow. It makes me think of spring. I’ve never considered putting lemon curd on toast. Sounds amazing though. Thanks! I made Meyer Lemon Curd for the first time recently and then I made Meyer Lemon Curd Bars with it. I loved it but the hubby thought it was too tart. Wow! I can’t wait to try this recipe! I’ve always used the recipe that is in the Betty Crocker cookbook (I use it for filling lemon cupcakes), but that recipe uses cornstarch. This recipe sounds so much more delightful! Thank you! I totally want this on ice cream!! Made this last night for my Lemon Loving son whose Bday we will celebrate tomorrow ! Yay! Happy birthday to your son! The lemon curd thickens as it cools! Enjoy! Cheryl, thank you for your comment. It was very helpful to know I hadn’t done something wrong. It did take 20 minutes, although I made it on a very hot day. That may have had something to do with it? I love comments from folks who have actually prepared the recipe. They’re much more helpful than reading how good a recipe sounds!! I crave lemon curd. I lust after lemon curd. I actually think I could make this. OMG! That would be just bonkers wonderful. I had to pin it. Have you ever tried Dori Greenspan’s lemon cream? As much as I love lemon curd I think lemon cream is even better! And it uses the whole egg so I’m not left with a bunch of egg whites to use. This looks so dreamy and silky! Must try! What volume of lemon juice did you start with? I always prefer to measure rather than count. First I love love this site. I pull half of my recipes from you! Second, how much lemon juice? I buy fairly large lemons. Also I cooked for 10 min and it was still very runny. It is in a glass bowl right now cooling but I am VERY worried it won’t be thick due to to much juice and not cooking long enough. Btw The Biscoff pretzel bites are requested at every birthday party I throw!! Did it set up? It should when it cools. Thanks for reading our blog! No, =( it is still pretty runny. Won’t be able to put into a cupcake or into the middle of two cake layers. But that’s okay it does taste amazing! Can you use a strainer and strain out the lemon zest? Or would this take away from the flavor? My kids and myself included do not care for little things like this in stuff lol. Yes we buy pulp free juices! I don’t mind it in the custard, but the kids do lol. I am baking the cake atm. I forgot I was out of all purpose flour and had to use a mix of wheat flour and white. Will this change the taste? AND sorry one more thing. On the cupcake recipe after I had it in the oven I realized you have vanilla in the ingredients list but NOT in the actual recipe. I missed putting it in lol. Sorry, ours always sets up after it is chilled. You can strain out the zest if you don’t care for it. The texture might be a little more dense with wheat flour. I just updated the recipe, sorry about that! Oh it’s okay!! I just LOVE your recipes. Seriously your page and one other are my go to pages for almost everything baked or sweet! I have been following you for a few years now. We now have 4 kids now and I love getting new ideas for their cake flavors. I have to write down that pretzel bite recipe so I have it on hand in case something ever happens to your blog or my internet! Have you thought about putting together a couple recipe books with ALL your recipes in them? I mean actual books. I would totally buy them. I am not one for the ebooks =( I like having a hard copy in my hands. Jana, I love something to hold in my hand also. To that end, I started printing out all the recipes I love, marking down anything of note on them, then placing them in a 3-ring binder. You could even laminate the pages so they don’t get too messy, especially if you’re as sloppy as I am! Lol! Hope this helps! Ours always sets up. Did you chill it in the fridge? Maybe cook it longer? It usually takes us 10 minutes, but I will change the recipe to say 10-15 minutes to be safe. Sorry you had issues! I wonder if you had too much lemon juice. You need about 1/2 cup. Maybe my lemons were smaller. I will adjust the recipe. Just wondering if anyone has tried this with orange juice and zest instead of the lemons. 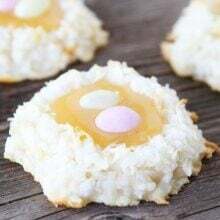 I need an orange dessert and sort of think this might be nice as a filling in thumbprint cookies. You had me with lemon but then I saw sweet and easy! Now I’m all in. 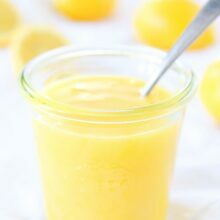 My husband loves anything lemon but I always thought making lemon curd would be more difficult. I am definitely trying this. How muc zest did you use? Looking for an approximate measurement. I have a lemon tree at home, but my lemons are HUGE! Any help is appreciated. Thanks!! If your lemons are huge, maybe use the zest of 3? It just depends on how tart you want your lemon curd. If you like it strong, use more, more mild…use less. I hope that helps! Yum. yum. YUMMMM!!!! Just made the curd…and licked the saucepan clean. So delicious! Macaroons are next. Thank you for the recipe!! I made this recipe and my lemon curd did not set either. It was refrigerated overnight. I stirred it over heat for 15 minutes. Any ideas as to why it didn’t set? This is a great curd. I have tried several different recipes over the years and this is the best one i have tried, lots of lemon flavor. I have rather large lemons on my tree so it only took two and a half lemons. I did have to cook it for about 17 minutes for it to thicken enough. Thank you. I loved this recipe! Everybody loved it, but 3 people told me they were expecting (hoping) to taste a more ‘tart’ curd. I tried to make it more tart with more lemon, another time with less sugar, to no avail. Could you please tell me how to resolve this? I tried this recipe- sooooo tasty! thanks for the idea! Could a sugar alternative like erythritol or xylitol be used or would that affect how it sets? Also, can this be canned by putting in a hot water bath like a jam? Or frozen? It only lasts 2 weeks and I am hoping to have something more at the ready! Just made it tonight. It is delicious and a beautiful deep yellow. It reminds me of the curd my mom used to make from scratch when I was a kid. I learned two lessons from this recipe. Microwave your lemons a few seconds, they’ll give more juice (I got over a half a cup of juice from two lemons) and STIR, STIR, STIR, DON’T STOP! 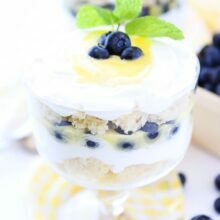 I wanted to make blueberry lemon crepes, and I thought I had a jar of lemon curd laying around, but I couldn’t find it. Your recipe was the first one to pop up on Google, so I made it. It’s so delish! I’m putting this recipe in my heirloom collection for sure! I only used 2 lemons because they gave me well over 1/2 cup. Thanks for the great recipe! I’ll be back for more! Glad you loved the lemon curd. I hope you try more of our recipes!